Manjhi attacks Nitish, says why did he disrespect a 'Mahadalit'? 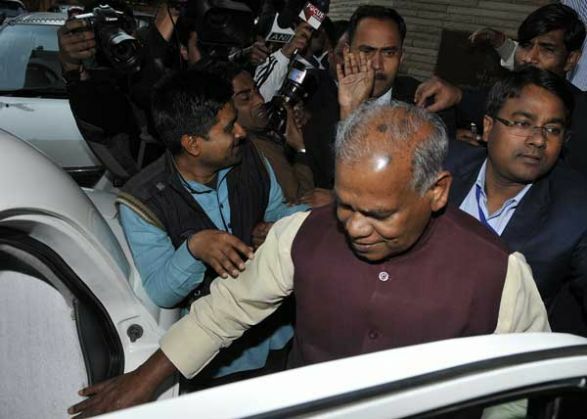 Former Chief Minister of Bihar and founder of the Hindustani Awam Morcha (HAM) party, Jitan Ram Manjhi, filed his nomination papers at the Imamganj constituency of Gaya district. After filing the papers, Manjhi addressed the media and said that he was the biggest naxalite. He said that if need arises and he has to pick up arms to protect women and poor citizens from the atrocities, he wouldn't think twice, even if the world calls it naxalism. He also took a jibe at Nitish Kumar and said that the president of Bihar Assembly Uday Narayan Chaudhary is a puppet in the hands of Kumar. He alleged that Chaudhary had cancelled the membership of his eight MLAs because Nitish Kumar told him to do so. Also, he accused Kumar of disrespecting the 'Dalit' community. He said that if Kumar supported the Dalits then why did he disrespect him, when he belongs to the 'Mahadalit' community. TWEET THIS Jitan Ram Manjhi says he is ready to pick up arms to protect the poor Manjhi attacks Nitish, says why did he disrespect a 'Mahadalit'?